For the first-time parent, taking care of a newborn baby can be a very daunting task and you probably have tons of unanswered questions. You may be asking yourself: When should I stop swaddling my baby? Read on to learn more about when you should stop swaddling your baby. Swaddling is a technique that uses a thin blanket which snuggly wraps around the baby’s entire body. The wrapped blanket resembles the mother's womb and help soothe your newborn baby while keeping he or she warm and feeling safe. Often times, new parents learn how to correctly swaddle their infant in the hospital. The American Academy of Pediatrics (AAP) says that when done correctly, swaddling can be very effective in calming infants and promoting sleep. New parents should be mindful of proper swaddling technique. Why Should You Swaddle Your Newborn? Swaddling is not only beneficial for babies, it can also be very beneficial for parents as well. We all need our beauty rest. The history of swaddling dates back hundreds of years, as it is an age-old practice that is used by many cultures all over the world. A swaddled baby sleeps longer and sounder and allows parents can also do the same. The first couple of months in a baby's life can be exhausting for new parents. A couple of extra hours can do wonders. 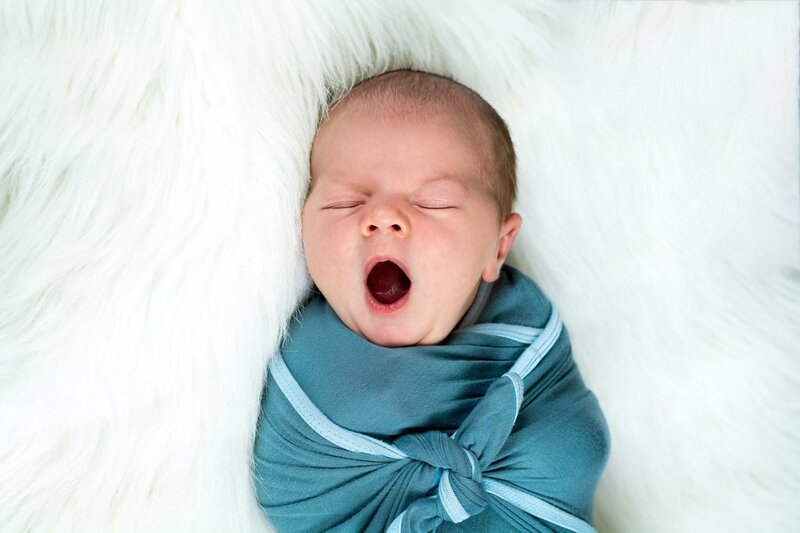 The first question many first-time parents have is, "When can I stop swaddling my baby?”. There is no concrete answer to this question. Remember that every baby is different. While most parents start to phase out swaddling around 3 or 4 months, it is not uncommon for babies to be swaddled up to 7, 8, or even 9 months. Most babies may start to reject swaddling as they get bigger, but that's not true for all babies. Does my baby wiggle out of the swaddle frequently? Does my baby no longer seem to be soothed by the swaddle? Does my baby wake up more frequently then usual? Does my baby roll onto their tummy while sleeping? ​If you have answered YES to one or more of these questions, you may want to stop swaddling your baby asap due to possible risks of SIDS. Studies have shown that swaddled babies who lay on their belly or side may be at a higher risk for SIDS. While swaddling can be very beneficial for your newborn baby's sleep, there are also some other things to consider to ensure that your baby gets as much rest as possible. White noise machines can be a great tool for drowning out any noises that may wake the baby up. There are many white noise machines out on the market, with a variety of different sounds you can play. Many use these machines to provide sleep-soothing sounds to help baby sleep sounder. Room temperature and lights are both things to be aware of when providing the ideal space for your infant. Having a great bassinet will also ensure that your baby feels safe and comfortable. You want to provide your baby the most ideal setting to sleep over 14 - 18 hours. Bedtime routines are important- giving your baby a warm bath before bedtime can be very relaxing. Implementing this routine will help establish sleep pattern your baby needs. Swaddling provides many benefits for your newborn baby. Ensuring that you and your baby get as much rest as possible is the goal. While there is no specific time you should stop swaddling, these are some general guidelines that you should be aware of and be looking out for. Remember to trust your instincts. After all, you are the person most in-tune with your baby and their needs. Share your experience on baby swaddling. How old was your baby when he/she stopped swaddling? Click here for even more valuable information for parents!